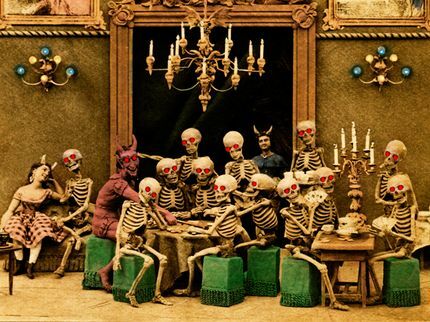 We are into the month of October and it’s very dark and gray here this morning which has me thinking of Halloween. 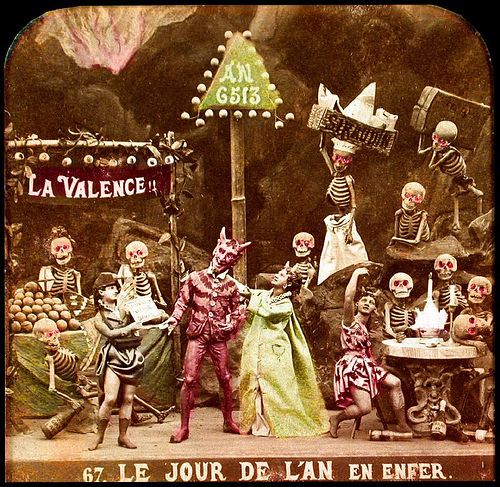 I thought that since I was in that mood I would run a post from back in 2010 about some macabre images from France in the 1860’s. 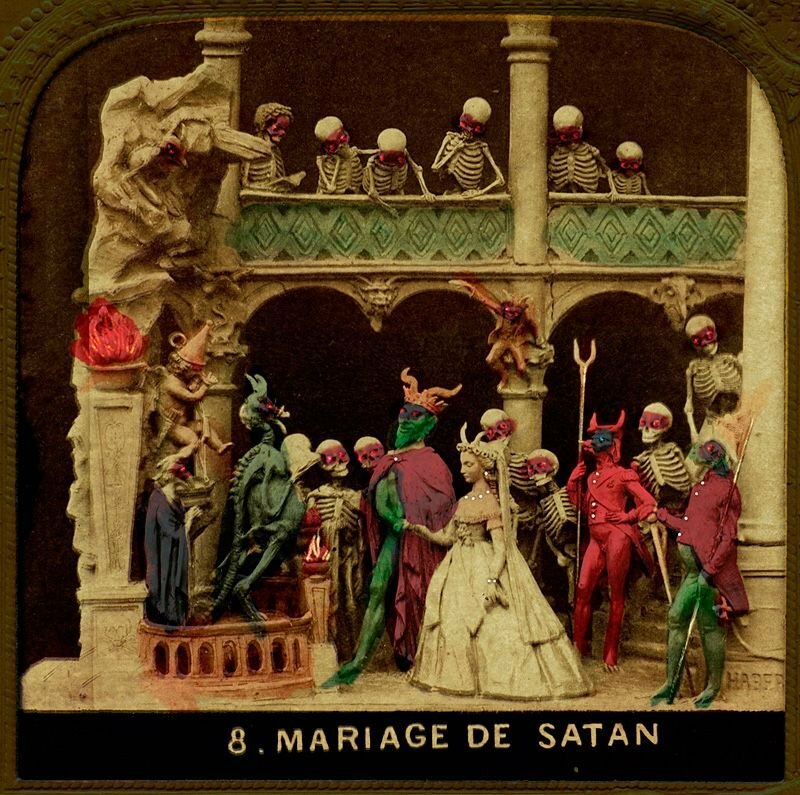 Guitarist Brian May of the band Queen spent decades researching and assembling the most complete collection of these stereoscopic plates, which he published in a book a few years back. 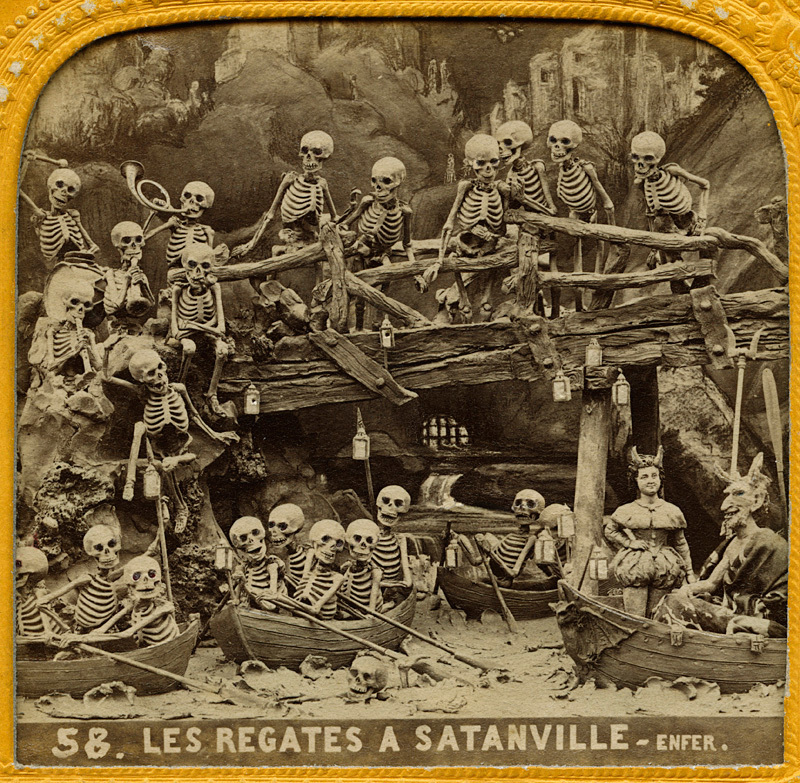 I’ve added a few images and a video featuring some of the plates as well. 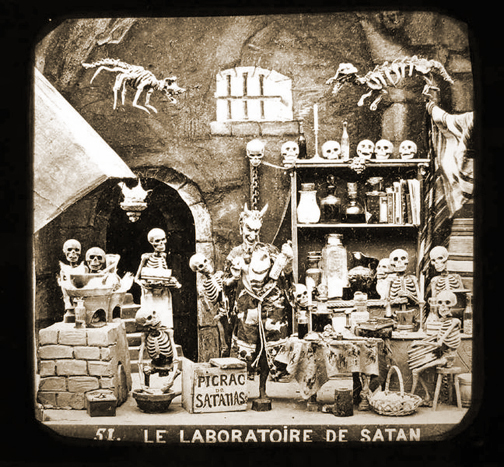 I came across these photographic oddities and thought they would be fitting in this week that ends with Halloween. 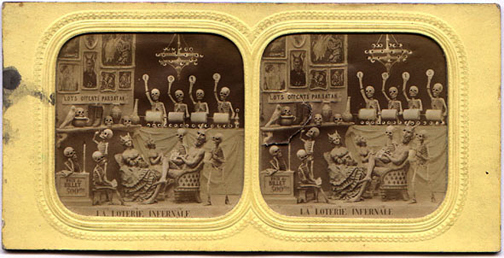 The stereoscope was invented in Paris in 1850 and became a worldwide sensation over the next decade. 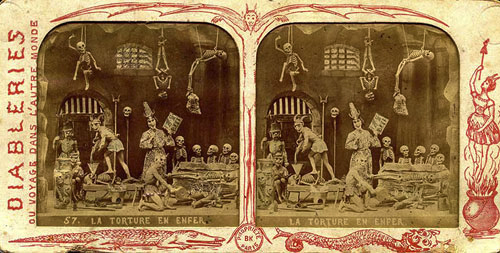 In 1861, a series of 72 of these stereoscopic photos were printed anonymously in Paris that consisted of macabre scenes of Satan and various aspects of Hell. 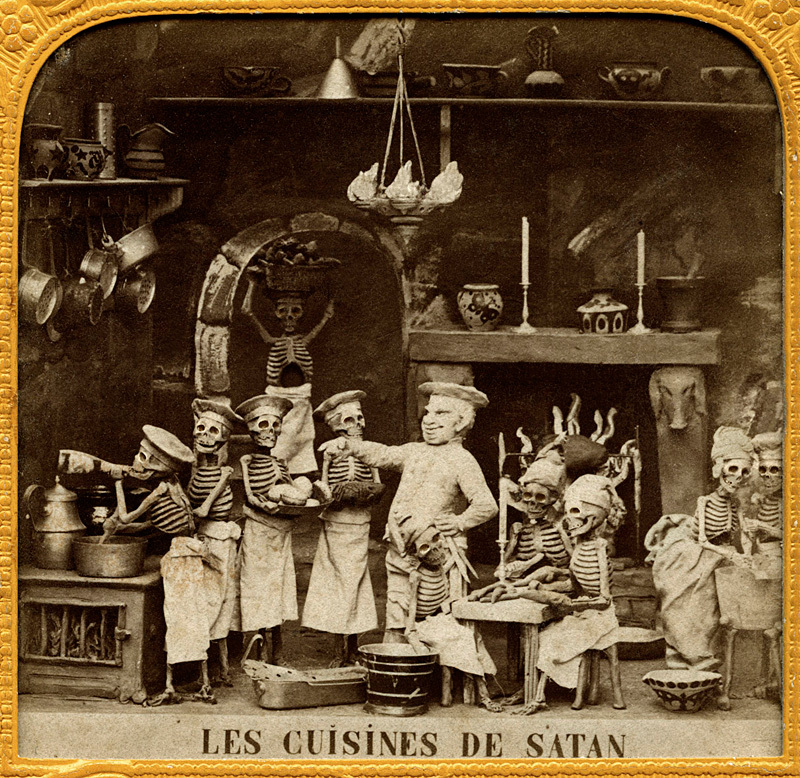 Called Les Diableries, these plates were a drastic turn away from the often mundane photos seen in early stereoscopes and were quite the sensation in 1860’s Paris. 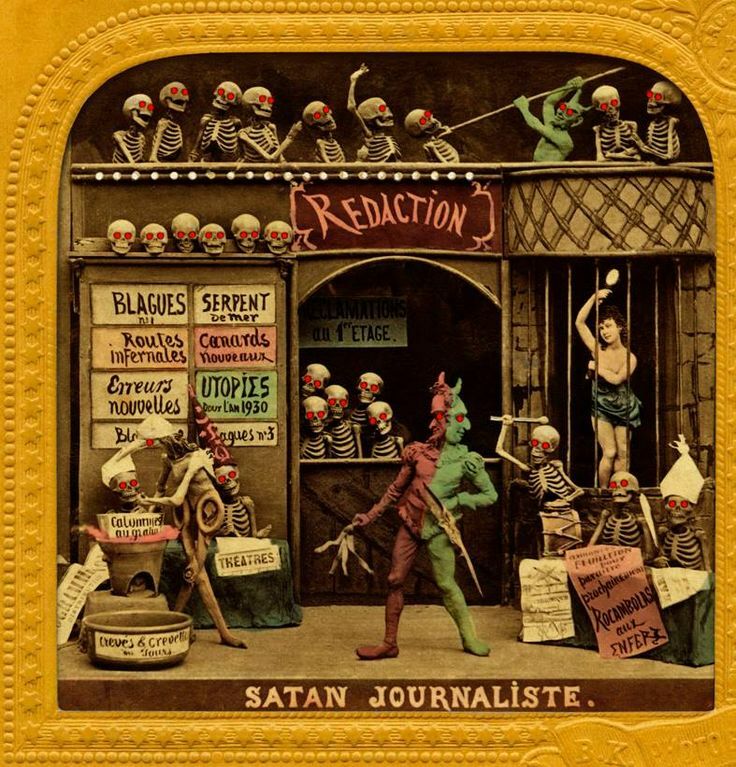 The photos remained anonymous in that time because they were viewed as politically satiric of the French government of the time, the Second Empire under Napoleon III. 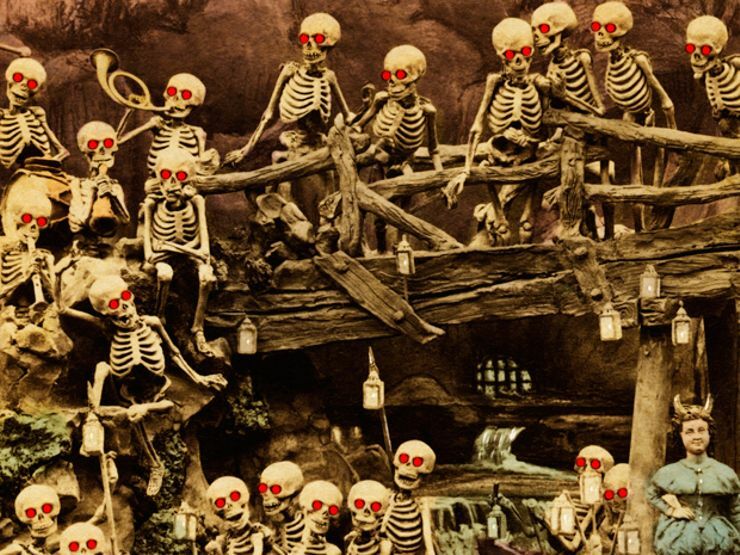 To openly chide the Emperor at that time could bring dire consequences but the images circulated freely, nonetheless. 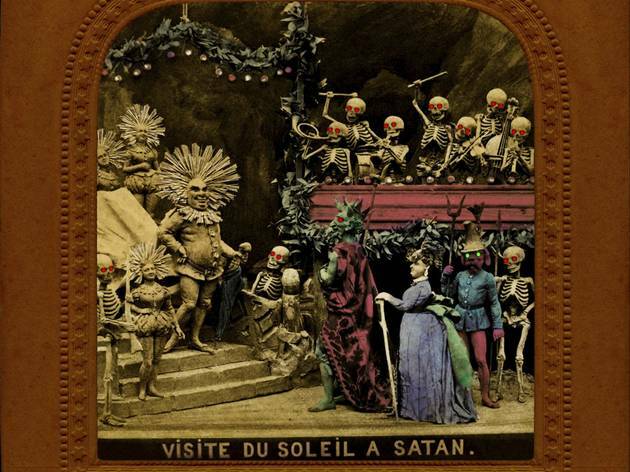 I think they are a remarkable set of images from that time and I can imagine how they must have resonated in the minds of people who weren’t exposed to the mind-boggling array of imagery that we often experience in a single day in our time.